A beautiful family boat turn key ready for summer! Full service and antifoul booked for 7th Feb. This Bayliner 285 Cruiser is in brilliant condition with one loving owner. 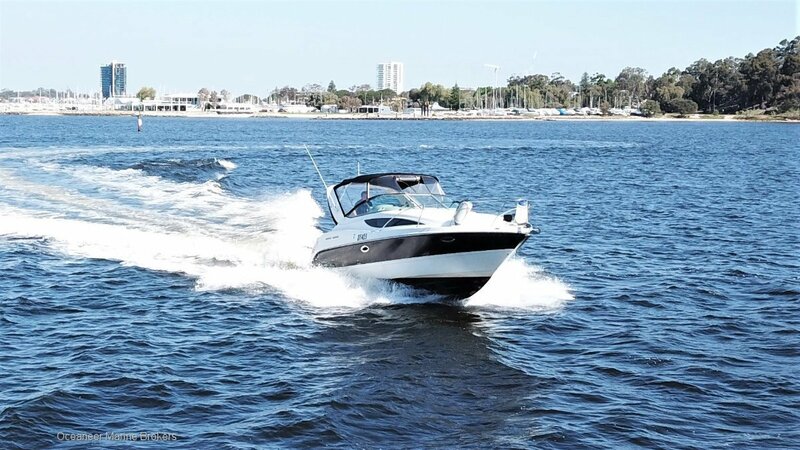 2008 was the final year Bayliner manufactured the 285 and it is a shame because these are a perfect all-rounder! You will not find a tidier example. Eclipse was repowered with a new single freshwater cooled Mercury 6.2 SeaCore V8 320HP. It gets her up and planing with ease, and is extremely nimble to handle at speed and idle. This little cruiser will surprise you with her cabin space, a huge enclosed aft master cabin and large V berth will provide comfortable weekend stays aboard. If you are in the market for an easy to maintain and operate weekender and river cruiser you would be daft not to give the Bayliner 285 a look! Call one of our experienced brokers on 08 9243 6373 or sales@oceaneermarine. Com. Au to arrange an inspection and to receive a full list of specifications.